Opens Sat. March 6th, 4 - 6 pm with a reception celebrating International Women's Day, and featuring a belly dance performance by Souhaer Zarik of Hip Kik. Free, light refreshments will be provided. Woman's House runs through May 1, 2010. 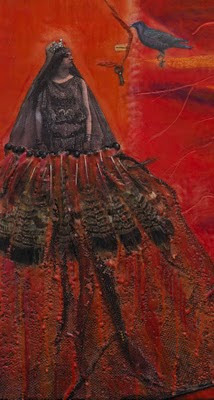 This exhibit will feature a variety of encaustic mixed media collage works related to womanhood. 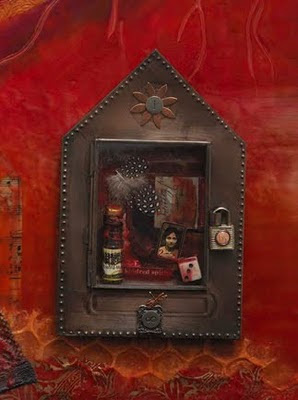 Narrative works portraying women's journey, as related to mind, body and spirit. Wise Daughters Craft Market, 3079B Dundas St. West (at Quebec); 416-761-1555. 10 % of the sales from Woman's House will go to Nellie's Women's Shelter.